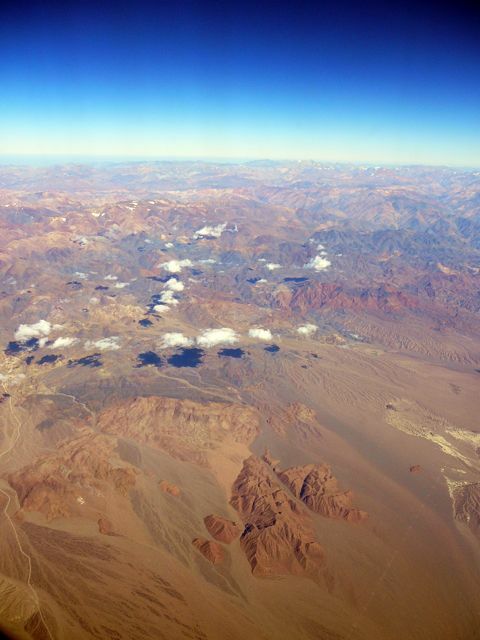 After ten years … again back to Paranal. 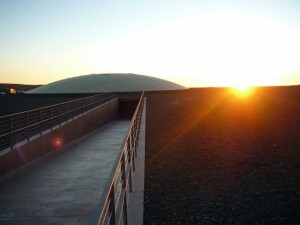 One of the most amazing observatories in the world, if not the most alien. Mauna Kea in Hawaii is very beautiful, but gentle, with the smooth slopes of the volcanoes. So gentle, that it is difficult to notice the presence of the Mauna Loa, the largest volcano in the world (depending on the definition). Roque de los Muchachos, in La Palma, Spain, may be the more dramatic, hanging from the ridge of the caldera, with the clouds passing by several hundred meters below the observatory, and the Atlantic ocean below then, sometimes visible, sometimes hidden. Calar Alto, also in Spain, and La Serena, Las Campanas o La Silla (these three also in Chile) are like home: comfortable and trustworthy. Probably the places where you want to spend a long observing run. But Paranal has something no other observatory posses: an exo-earth aura, the feeling of being in a space mission, of almost exploring Mars. Because, indeed, the landscape is very martian: red, sandy hills; extreme cold and hot, and an incredible lack of water, of dryness. Just like the poor, small sibling of Earth. As I said, very alien. We are here to get spectra of even more “alien worlds”: planetary mass objects located in a distant star-forming region, Orion´s Head. In fact, we want to verify their nature. During the last decade we have been studying this region, trying to get a complete census of its members, from solar-like stars to brown dwarfs, and to establish their properties. We have a large number of planetary mass objects, very young and with properties similar to the giant planets, but presumably formed by a mechanism similar to the stars, collapse and fragmentation of a molecular clouds. By obtaining low-resolution spectroscopy we intent to verify their nature (whether they belong to the association and they do have planetary masses) and to know something about their basic properties. Half asleep, after almost 24 hours in planes and cars, I arrive at the observatory full of expectations. This time I have been lucky: Iberia put my in business class, a courtesy I do appreciate. It really makes a difference, although I arrived very tired, and the jet-lag is still present. A toll we have to pay for the privilege of being here.